SINGAPORE, 18 February 2014 – Changi Airport Group (CAG) bestowed top honours on members of the airport community for their outstanding service contributions in 2013 at its Annual Airport Celebration ceremony held at Raffles City Convention Centre today. A total of 23 awards across five categories were presented to individuals and teams by Guest-of-Honour, Mr Lui Tuck Yew, Minister for Transport. The categories are ‘Service Personality of the Year’, ‘Outstanding Service Staff’, ‘Outstanding Service Team’, ‘Outstanding Custodial Staff’ and ‘Service Partner of the Year’, the last an award for organisations. Mr Lee Seow Hiang, CEO of Changi Airport Group said, “Stalwarts in the airport community would remember that Changi Airport honoured its first ‘Personality of the Year’ award recipient in 1994, exactly 20 years ago. Since then, we have had the privilege of recognising an outstanding individual every year for his or her exceptional commitment to serving our passengers well. We are proud of this year's recipient, Mdm Tan Beng Luan, who shows that helping and assisting others is very much part of her DNA. Award recipients were selected based on the extent to which they had gone beyond the call of duty to assist passengers; their initiative, resourcefulness and creativity in handling a difficult situation; as well as passengers’ feedback. The list of this year’s recipients is in Annex A.
Mdm Tan extended her helping hand to a Polish family of three who were trying to make their way to Manila. Mdm Tan made the generous decision to purchase three one-way tickets for the family from her own pocket. For its commitment to service excellence and staff development, Certis CISCO Aviation Security (CAS) is presented this year’s ‘Service Partner of the Year’ award. CAS manages a team of about 2,200 aviation security officers who perform various security, patrolling and screening functions across Changi Airport. Over the past few years, CAS has consistently invested in customer-centric initiatives to uphold the passenger experience at Changi Airport, partnering CAG closely on service improvements through innovation, with close attention paid to enhancing the welfare of its staff. For example, to improve the security screening experience for passengers, CAS introduced Airport Service Ambassadors and Service Operations Supervisors at the gate holdrooms in 2013. These personnel are trained to explain airline regulations to passengers, including policies on liquids, aerosols and gels. They are also trained on how to deal with passengers in different situations with the aim of solving issues for passengers with minimal disruption to their travel plans. CAS also pays close attention to staff engagement and staff well-being. Through participation in Changi Airport’s annual Employee Satisfaction Survey, CAS has been able to gain insights into the concerns of its employees. In mid-2013, with support from CAG, it also undertook a wage restructuring exercise for its staff. As a result, the overall salary packages of Auxiliary Police Officers increased by an average of 10% and that of the Aviation Security Officers increased by an average of 15%. Please see Annex B for the citations for the ‘Service Personality of the Year’, ‘Service Partner of the Year’ and ‘Outstanding Custodial Staff (Gold)’ award recipients. Against a backdrop of tightening manpower supply in the service sectors, it is ever more important for employers to ensure that their staff are motivated and happy in their jobs, as only then will they be productive employees. It is in this spirit that, since 2011, CAG has conducted the annual Changi Airport Employee Satisfaction Survey among staff of its partner organisations and vendors involved in airport operations to gain insights into the wellbeing of the airport community. CAG shares the survey results with the respective parties and works closely with them to improve the working conditions and well-being of their staff. For example, on learning that airport staff preferred a private area to rest their feet and relax during their break times, CAG built staff lounges in the transit halls of all three terminals, so that airport staff can have a comfortable and quiet environment for rest, away from public view. These lounges come complete with essential amenities such as sofas, pantry and dining areas, and entertainment facilities such as TV and Internet stations. From the surveys, airport agencies can also track their employees’ engagement levels from year to year. In the 2013 survey, 15 out of 20 agencies showed improved scores compared to the previous year. 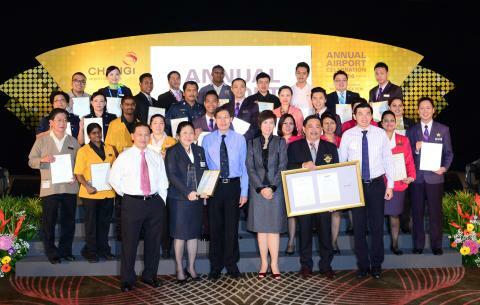 This shows the commitment of the employers to make Changi Airport a great place to work for their staff. With more than 450 awards under its belt since its opening, Changi Airport remains the most awarded airport in the world. 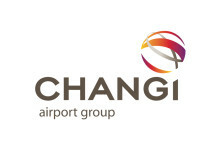 In 2013 alone, Changi Airport garnered 30 “Best Airport” awards from various travel publications and aviation organisations. Mdm Tan Beng Luan is receiving a top service award for the fifth time in her 33-year career in the aviation sector. Beng Luan was working on her evening shift on 12 May 2013 when she noticed a family of three at the Lost and Found counter at Terminal 2, looking helpless. Through the little English that the elder daughter, Ms Agnieszka, spoke, Beng Luan found out that the Polish family was travelling from Manchester to Manila via Abu Dhabi on airline staff tickets, but upon reaching Abu Dhabi, they discovered that their flight to Manila was full. They decided to travel to Singapore instead, hoping to get a flight to Manila from here. However, flights from Singapore to Manila were fully booked as well. They were stranded in Changi Airport and found themselves separated from their luggage. They had also already stayed at the airport for a night and were exhausted. Beng Luan immediately assisted with locating their luggage but the initial search did not show results. Seeing that the family had no accommodation, Beng Luan offered to put them up at her home. Beng Luan even took a day off the next day to bring the family on a sight-seeing tour of the S.E.A. Aquarium with her husband. While waiting for news of their lugguage, Beng Luan advised the family to continue with their travel plans, since they had saved up for this trip to Asia. The Polish family changed their destination from Manila to Malaysia. During this time, Beng Luan also managed to locate their lost bags. Beng Luan kept in touch with Ms Agnieszka during their holiday. The family subsequently returned to Singapore, hoping to head home to Manchester on their staff tickets. Unfortunately, they were unable to secure their seats as all flights to Manchester were full. Beng Luan sought to find other flight options for the family. On hearing that Ms Agnieszka, who had already been absent from work for two days, was at risk of losing her job, Beng Luan made the decision to purchase three tickets for the family out of her own pocket. The family was extremely touched. For going the extra mile, Beng Luan is awarded the 2013 Service Personality of the Year Award. This award recognises an airport staff who has demonstrated exemplary service attitude and behaviour towards passengers in the course of work. Beng Luan had also received the Excellent Service Award (Gold) in 2006, Changi Airport Service Personality of the Year Award in 2003, and Outstanding Service Provider (Gold) in 2002 and 2001. Certis CISCO Aviation Security (CAS) has consistently invested in customer-centric initiatives to improve passengers’ experience at Changi Airport. They partner Changi Airport Group (CAG) closely on service improvements through innovation, and pay close attention to enhancing the welfare of its staff. In the 2013 Airport Service Quality Survey, a global survey administered by the Airports Council International, CAS held top three positions for the categories of security inspection, waiting time and courtesy of staff. CAS achieved this through meticulous job design for its staff and a comprehensive training framework that targets the delivery of Security, Service and Speed. With a view to improving the security screening experience for passengers, CAS introduced Airport Service Ambassadors and Service Operations Supervisors at the gate hold rooms in 2013. These officers are trained to explain aviation security regulations such as those on liquids, aerosols and gels to passengers. They are also coached to help passengers in different situations, with the aim of solving issues for them with minimal disruptions to their travel plans. CAS is an active supporter of CAG’s customer service initiatives. For example, it partnered CAG’s Quality Service Management team on service blueprinting to map out the overall passenger experience at pre-board screening. This helped security screening officers understand and uphold service standards required at each stage of the screening procedure. CAS pays close attention to staff engagement and staff well-being. To motivate its staff, CAS has in place various incentives and recognition schemes such as Best Trainee, Best Newbie, Best Aviation Security Officers and Best Auxiliary Police Officers awards. CAS also invests in the professional development of its staff through courses run by international aviation organisations such as the International Civil Aviation Organisation (ICAO) and the International Air Transport Association (IATA). Some of its staff are certified ICAO inspectors and instructors and IATA internal auditors. For its commitment to service excellence and staff development, Certis CISCO Aviation Security Pte Ltd is awarded the 2013 Service Partner of the Year Award. This award, introduced by CAG in 2013, recognises one key airport partner’s consistent delivery of excellent service experience to its customers, and outstanding commitment to motivating and developing its employees to own and excel in their jobs. Mr Thirumurugan s/o Kathiravelu is a Customer Service Officer at Wilson Parking. His duties include checking on illegal parking, issuing warning notices and wheel-clamping errant motorists. Besides these, he also assists motorists with car park enquiries and problems with cash cards. One February evening in 2013, Thirumurugan was going on his enforcement round at a Terminal 3 car park when he noticed a female driver looking flustered. On seeing that one of the driver’s car tyres was flat, he immediately helped the passenger replace the tyre with the spare one from the boot. After that, he also reminded the passenger not to drive too fast as the tyre was slightly smaller and advised her to visit a workshop for a proper replacement. The passenger was so grateful she offered to pay Thirumurugan for his service, to which he respectfully declined. On another afternoon in May, Thirumurugan spotted two male passengers having difficulties starting their car at the Terminal 3 Basement 2 car park. Thirumurugan approached them to offer his help. Besides suggesting that they try to push-start the car down the ramp to Basement 3, Thirumurugan also offered tips, from his past experience as a mechanic, on how they could push-start the car. Together with the two passengers, Thirumurugan pushed the car and eventually managed to get it started. Both passengers were elated and extended their profuse thanks to Thirumurugan before leaving. Thirumurugan is the proud recipient of the 2013 Outstanding Custodial Staff (Gold) Award. Changi Airport is the world's fifth busiest airport for international traffic. It served a record 53.7 million passengers from around the globe in 2013. More than 350 retail stores and 120 F&B outlets are situated across three terminals to cater to passengers and visitors. With over 100 airlines providing connectivity to 280 cities worldwide, Changi Airport handles about 7,000 flights every week, or about one every 90 seconds.